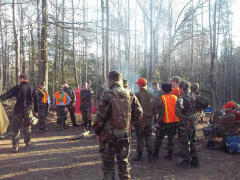 I survived Winter Ranger School! Senior Member lives to tell the tale. 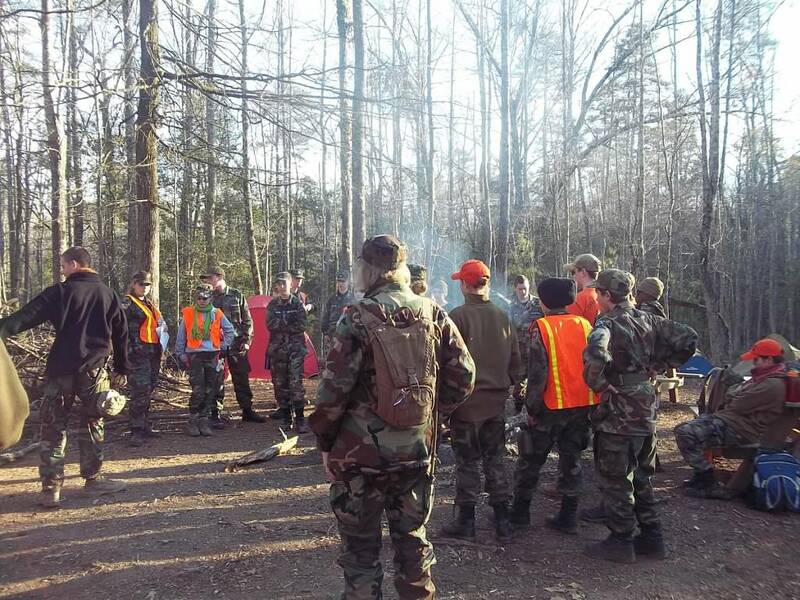 The NCWG Winter Ranger School (“WRS”) was held on Feb. 6-8, 2015 at Morrow Mountain State Park in Albemarle, NC. WRS taught cadets and Senior Members many useful search and rescue skills. We learned how to hike for miles with full packs, to read maps by headlamp, to use compasses (keep Red Fred in the shed) and how to function outdoors safely so we can locate and rescue others when needed. 1. When your perky cadet daughter tells you that going to WRS together will be fun, she is lying! WRS is many things including challenging, educational, character building and life changing. “Fun” – not so much. 2. When you are laying in your tent inside 2 sleeping bags at 3 am in the morning and it’s 15 degrees outside, you can’t sleep because your bones are shaking so bad. This is when you tell yourself to think of all the calories you are burning and how slim you will be by the end of the weekend. Why it’s practically a weight-loss program! People pay big money for these programs and here you get to do this for practically free. 4. Lt Col Andy Wiggs, the Commander of WRS, has been described as “the best darn snake-eating, ground pounder in the nation.” This is an understatement! Col Wiggs is all that and more. WRS would not happen without him and his incredible staff. They do the impossible. 6. Courage gets you through anything! Bravo Squadron’s fearless Commander, Lt Phillip Hooper, kept everyone’s spirits up and focused on learning Ranger skills. He dealt calmly and compassionately with subordinates’ frostbite, diarrhea, vomiting, whining and ambulances arriving at dawn to evac out Senior Members. True grace under pressure. 7. Humor is essential! If you can’t laugh when things are horrible, don’t go to WRS. Special kudos to C/Medic Aiden Maxfield for making everyone laugh with his stories of awful medic events. Nothing makes you feel better than hilarious campfire stories about cadets getting hit by lightning, trench foot, “sucking chest wounds” and people falling off cliffs. 9. The cadets are amazing! Up at dawn each morning, they bounded out of their tents, assembled by the fire with full gear and set off for the day’s adventures with smiles on their faces. Their enthusiasm, strength and stamina were inspiring to behold. They truly are America’s future leaders and heroes. 10. I love you perky cadet daughter! Thank you for dragging your old mama to WRS. I will never forget this weekend.